Home Computer Software Technology Is It Possible to Erase Your Data So No One Can Ever Recover It? Is It Possible to Erase Your Data So No One Can Ever Recover It? To answer this question, let’s find out different techniques with which data is removed from the storage media. The following terms (explained below) are often used interchangeably, but they shouldn’t be as they are different. When a file is deleted from the system, it is actually moved to Recycle Bin. Therefore, that particular file can still be accessed and restored from the recycle bin. On the other hand, when you empty Recycle Bin or use ‘shift + delete’ to remove a file, you in fact delete only the file path (pointer) to access the file and the deleted file remains on the drive waiting to be overwritten or to be recovered with the help of a data recovery tool. In simple words, when you permanently delete a file, you actually hide it and make it hard to find. Understand this as erasing something written on the paper with a pencil. Once erased with the help of a good eraser, the content can’t be read. Similarly, when you erase a file, you make it's recovery impossible. The erase process overwrites the existing data with 0’s and 1’s. Based on the level of sensitivity of data, there are various standards that are followed to erase data from storage drives. Wiping means erasing files at a big scale like wiping an entire hard drive or any other storage drive. Wiping erases everything that is present on the storage drive including the unused space and the previously deleted files and folders that might still exist. 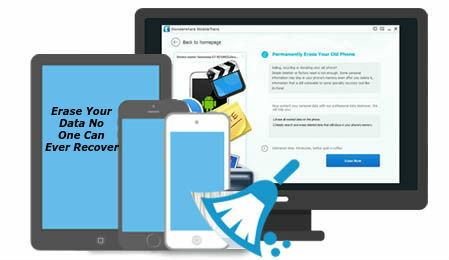 Wiping software are often known as data destruction tools that destroys the data using various international standards and data sanitization algorithms. Shredding data is similar to erase, but it’s performed on a small scale. It is like erasing one or more selected files or folders and only those files and folders are removed from the drive by overwriting the space where the file existed with a pattern of 0’s and 1’s. The tools that shred files are known as File shredders and they also come inbuilt in most antivirus programs. The most commonly used ‘Quick Format’ in Windows is actually a different way of deleting – not wiping – the hard drive or any storage media. But again, data can be recovered from a formatted or even re-formatted drive with the help of a sophisticated data recovery tool. How to Erase Data beyond Scope of Data Recovery? To erase data at a level where the recovery becomes impossible, even with the help of forensics tools, you need a software tool that uses standardized algorithms proven to erase (wipe) sensitive data from a drive beyond recovery. One such tool that is available is ‘BitRaser for File’. This tool uses 17 international standards like NATO, U.S. Department of Defense (DoD Standard 5220.22-M) 3 pass/7 pass, etc. to erase data from a storage media. The tool is capable of erasing drive volumes and data stored on the Windows PC like files, folders, internet history, banking transactions, office documents, account passwords and details, etc. It’s a safe and reliable data erasure tool from renowned Stellar Data Recovery that is working in the field of data recovery since 1993. They know how data is recovered and thus provided a solution to erase data beyond the scope of data recovery. The tool is fairly simple to use and also generates a tamper-proof certificate of erasure to help meet statutory and regulatory compliances required for data security and privacy such as EU-GDPR, SOX, HIPAA, ISO27001, and PCI-DSS. Internet activities – cookies, autofill forms, passwords, banking transactions, chat messages, history, etc. System traces – registry, system history/logs, hidden temp files, etc. Data by scheduling automatic erasure – set erasure algorithm, verification, and frequency and save the scheduled task. Automatic erasure of data executes at scheduled time or on every boot or first boot of the day.